If there’s one thing that many rock stars have in common, it’s the fact that they are a bunch of nerds, just like us. These musicians not only share a love for niche pop culture topics, but they also put geeky content in their songs. This could be anything from lyrics about a social outcast crashing a party to producing an entire a concept album about vampires or zombies. Even though geek culture is a little more accepted by the mainstream these days, these long-time geeks have loved sci-fi and fantasy their entire lives. Here, we look at seven rock bands and musicians that could lovably be considered geeky. Formed in 1992, Weezer has reached a cult geek status all their own. 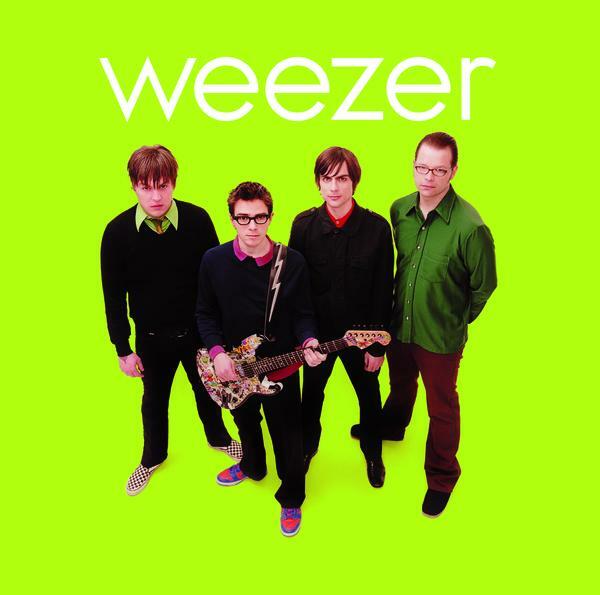 Whether someone is a fan of pop-rock or not, they’ve most likely heard of Weezer, or at least their songs Say it Ain’t So, Beverly Hills, and Pork and Beans. Their music is top-notch, and the way fans constantly dissect each album is a good indicator for geekdom. They seem to switch off and on between lighthearted and dark albums. They even used Southern rap on their Red Album. For a band to produce such a wide variety of stylistic work, they must be pretty nerdy and creative. The lead singer, Rivers Cuomo, also practices Eastern meditation and is an avid soccer fan. 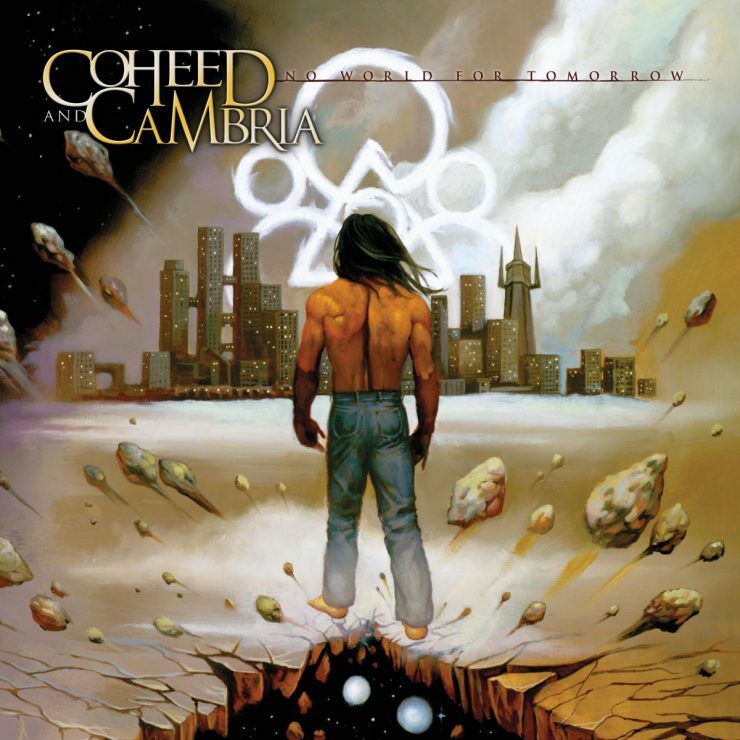 With high concept albums, interconnected imagery, and a melding of genres, Coheed and Cambria could definitely be considered a “sci-fi band”. Many of their albums make up the sonic storyline for a fiction series written by lead vocalist Claudio Sanchez. This series is called The Amory Wars, and it contains a host of comic books and novels. The name of the band refers to two main characters from the story. Coheed, also known as The Beast, is from a race known as the IRO-bots, a deadly group of cyborgs. His wife is Cambria, and the both of them have been through many battles. Their family history is complex and tragic, and even after being killed, the ghosts of the parents continued speaking to their son Claudio. 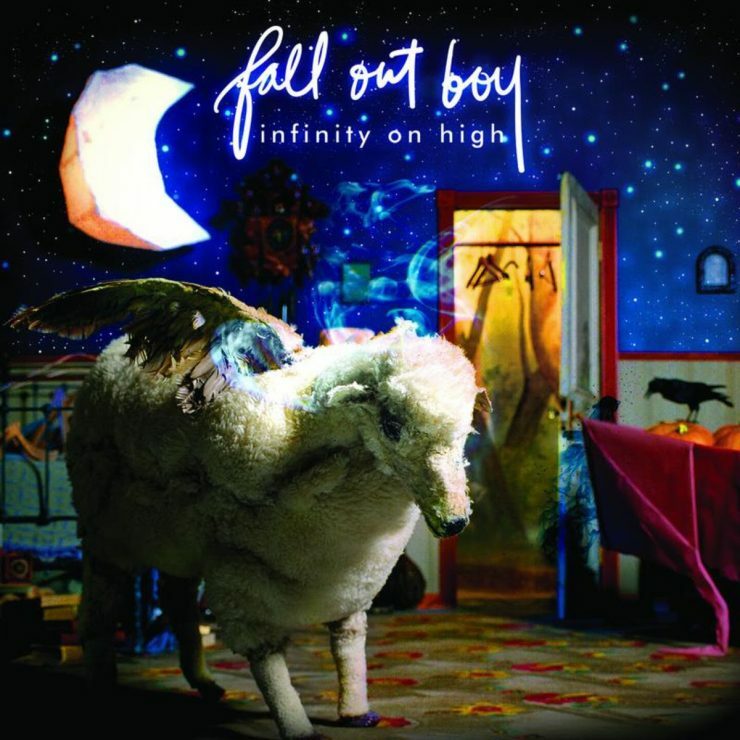 Fall Out Boy shot right to the top of the rock and pop charts in the mid 2000’s, and there were a number of reasons for this; the songs are catchy, the guitars are polished, and the vocals are genuinely well-executed. There’s also something else that makes them so endearing—they are self-professed nerds. Some of the movies and franchises loved by the Cork Tree Boys are blatantly referenced in their lyrics. Uma Thurman references everybody’s favorite Kill Bill actress. A Little Less Sixteen Candles, a Little More Touch Me is a nod to the 1984 Molly Ringwald movie Sixteen Candles and the Samantha Fox song Touch Me. And Bishop’s Knife Trick is obviously talking about the kindhearted android in Aliens. There are actually too many pop culture references in their discography to even mention, and they keep coming with every new release. Not to mention, they took their band name as a reference to The Simpsons. Nearly every geek knows who David Bowie is. His accomplishments in acting and music have solidified the late artist’s place in pop culture, and his work continues to inspire countless geeks and thinkers. With an impressive career spanning 27 musical albums, it’s likely that his legacy will never fade into history. One of his most remembered projects was The Rise and Fall of Ziggy Stardust and the Spiders From Mars, a concept album about a rock star from space. The album has inspired many rock bands, including Marilyn Manson and My Chemical Romance. 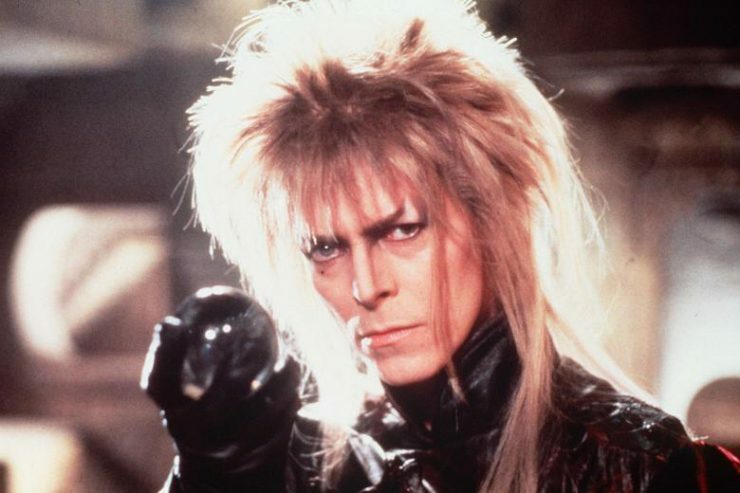 Beyond the obvious geeky nature of his music, Bowie also acted in science fiction films such as The Man Who Fell to Earth and Labyrinth. The rock legend even starred as Nikola Tesla in The Prestige, and if that doesn’t excite your inner geek, then nothing will. There are quite a few sub-genres of rap music. One of these is “nerdcore”, and it typically includes artists who can rhyme poems quickly and maintain the appearance of someone either socially frustrated or in love with pop culture. 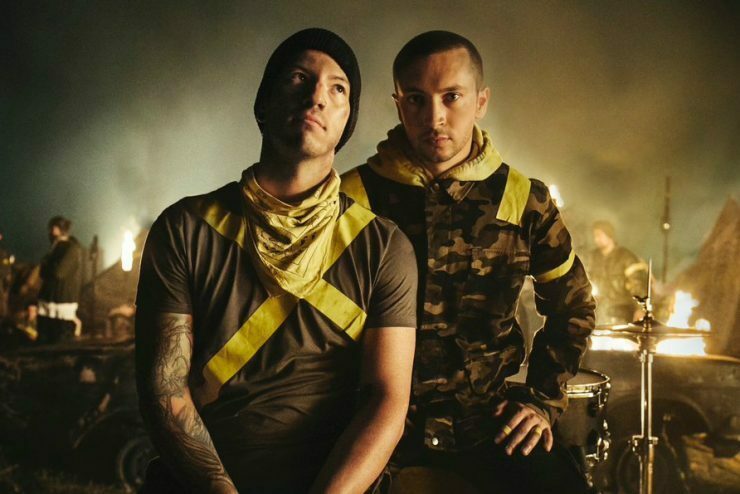 One such group with these nerdy attributes is the musical duo known as Twenty One Pilots, one of the most popular bands of recent history. The interesting thing is that though they are definitely nerds in their own way, one can’t really say that their music is nerdcore. Their audible works of art are actually a combination of many different styles including hip-hop, rock, R and B, indie, punk, and a whole lot more. This conglomerate of different moods and feels meets the criteria for something to be geeky, as it’s just so over the top and beautiful that you know it’s definitely not normal. All of the sounds and the lyrics of every song are total ear candy, and some may even call Tyler Joseph (singer) and Josh Dun (drummer) musical geniuses. They did win a Grammy, after all. Two of their releases were concept albums. 2015’s Blurryface used metaphor to describe insecurity, and 2018’s Trench used a dystopian world coupled with powerful spiritual imagery to convey a message of hope through a well-connected storyline. Twenty One Pilots also wrote a song just for DC’s Suicide Squad soundtrack called Heathens. Dungeons and Dragons, a love for Iron Maiden, some slight corpse paint, and an absolute obsession with comic books are some of the things that earn My Chemical Romance a spot on this list. To top it all off, their albums are absolutely bonkers—each one is a self-contained story complete with plot, metaphor, characters, and monsters. Formed in 2001 by lead singer Gerard Way, the band released 4 studio albums (5 counting the Conventional Weapons releases) before disbanding in 2013, and their skyrocket to success was an early example of geekdom entering the collective conscious of the general population. Gerard Way originally wanted to be a comic book writer, and he finally reached his publishing dream in 2007’s The Umbrella Academy from Dark Horse, an adaptation of which will see a February 15 debut on Netflix. Since then, many comics have come from Way’s mind, including those from his Young Animal imprint and a comic tie-in to the MCR album Danger Days. Way wasn’t just a rock star who thought making a comic would be cool—he lived and breathed the stuff long before he even believed being in a band were possible. The entire band shared most of his interests, especially his brother, bass player Mikey Way. This love for characterization birthed albums about gunfights in the desert, a doomed man trying to save his lover from the undead, and a dystopian future complete with fictional corporations and rebellious iconoclasts. Their magnum opus, however, was their third record—2006’s The Black Parade. Equal parts dark and uplifting, it’s one of the nerdiest albums ever made, and it has received near universal acclaim for over a decade. The story for the album is about a man dying from cancer, and though that idea may sound simple, it’s actually a very complex look into regret, the afterlife, and some awesomely designed metaphorical characters. 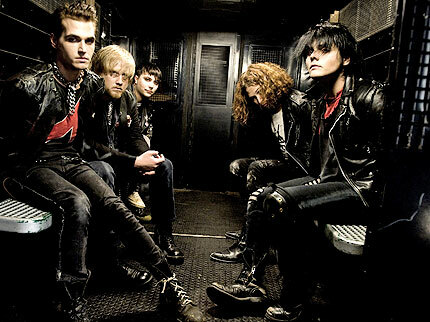 Though MCR is no more, each member of the band continues to make music of their own. There’s no doubt that the music of the Star Wars franchise is some of the best ever written. The heroic and sometimes haunting emotions stirred up by the orchestral themes are deep, palpable, and impossible to ignore. Could some of those same emotions be conjured up by a metal band? With Galactic Empire, the answer is yes. This absolutely talented band has taken the classic John Williams themes and transcribed them to electric guitar, bass, and drums. Who knew that a galaxy far, far away could inspire such intricate shredding? 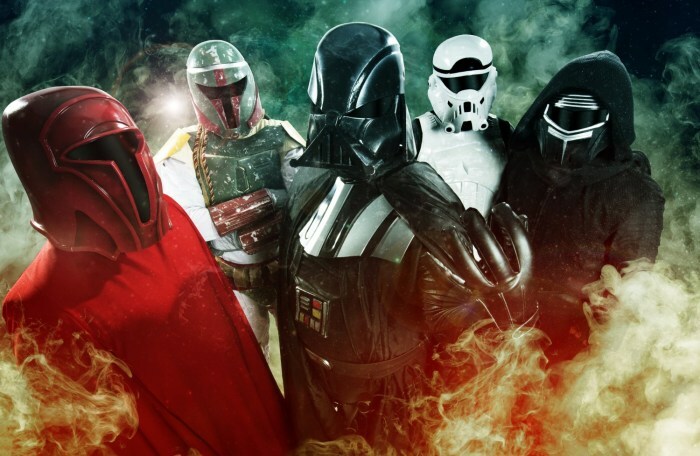 Oh, and the band members also dress up like Vader, Boba Fett, and other galactic baddies. It doesn’t get much cooler than that. What’s your favorite band? Let us know in the comments, and Let Your Geek Sideshow!